Kathi writes about fossils and other earthly subjects, plus the natural history of Michigan, poetry and more. This can be accomplished by visiting a community vineyard or do what my husband and I have always done; find wild grapevine growing on your woodland property or ask permission to get it from a neighbor's property. Usually, they're glad someone is willing to rid them of their possible nuisance. We've pulled down vines that have grown thirty feet up a tree. Some wild grapevine can be gray, pinkish and there's a reddish brown variety with lots of hair under the outer bark. The only tools you really need are a good set of clippers and maybe a pair of gloves. 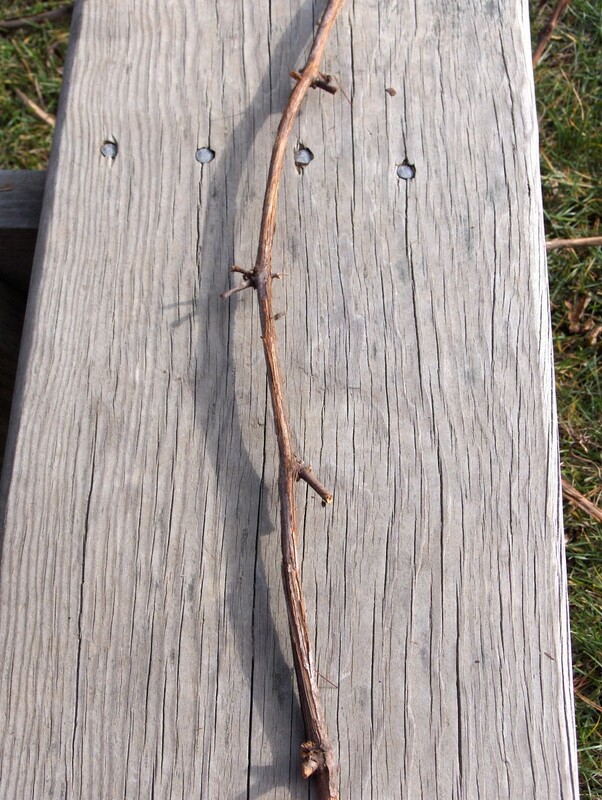 After pulling wild grapevine down from a tree or even pulling it from the ground, snip off unwanted stems and leaves till you're left with a single main stem. Keep some notches on your stems. You'll use these later to secure your weaver stems when you're wrapping them around the basket. Also, keep your stems as long as possible. TIP: There is no need to soak the grapevine. It remains pliable for a few weeks after cutting it. Study the various stems you have to work with. Pick the straightest ones. You'll want to choose those for your six starter pieces. Try to keep them within a similar volume of bulk and cut them to about the same length. The older the stem, the heavier in strength and thickness. 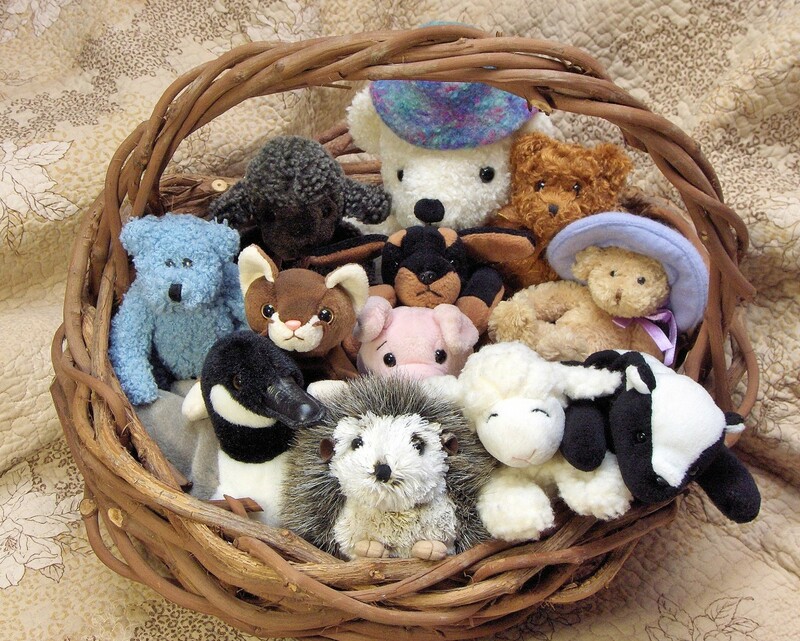 Decide if you want a big or small basket. The length of the vine will determine the outcome. Sometimes the grapevine itself will determine whether you even have a choice in the matter. Now you're ready to start assembling the basket. First, lay out three of the six stems next to each other. 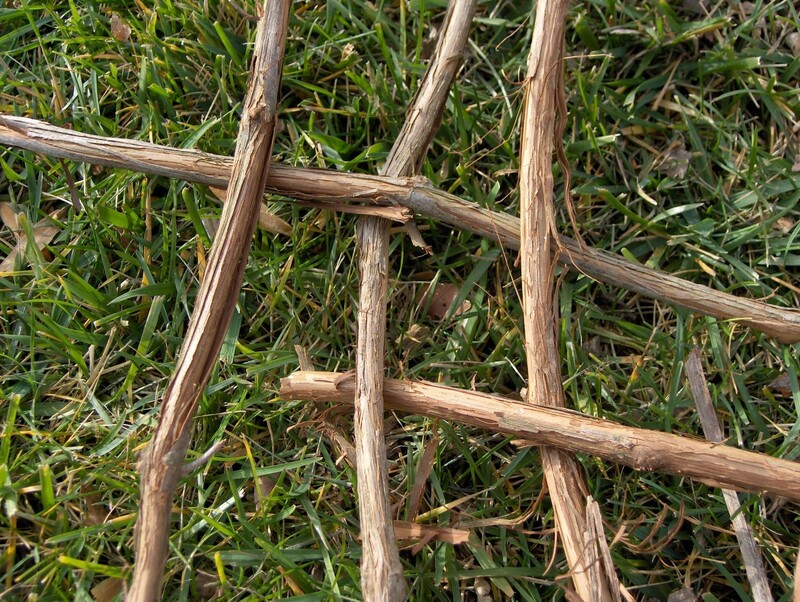 Begin interlacing with the first weaver stem using an over and under pattern across the three laid out stems. For the following stems, you'll need to weave those in an alternating pattern under and over. This secures all six pieces and will be the bottom of your basket. Don't worry that it looks gappy. Later on, you will go back and fill in the gaps with thinner and more flexible pieces. When you're finished weaving the first six starter pieces, it will sort of look like a big spider with long legs and a checker board body. This will be the bottom of the basket from where you'll continue. Tip: This clearly demonstrates by the length of of the spokes how big your basket will be. 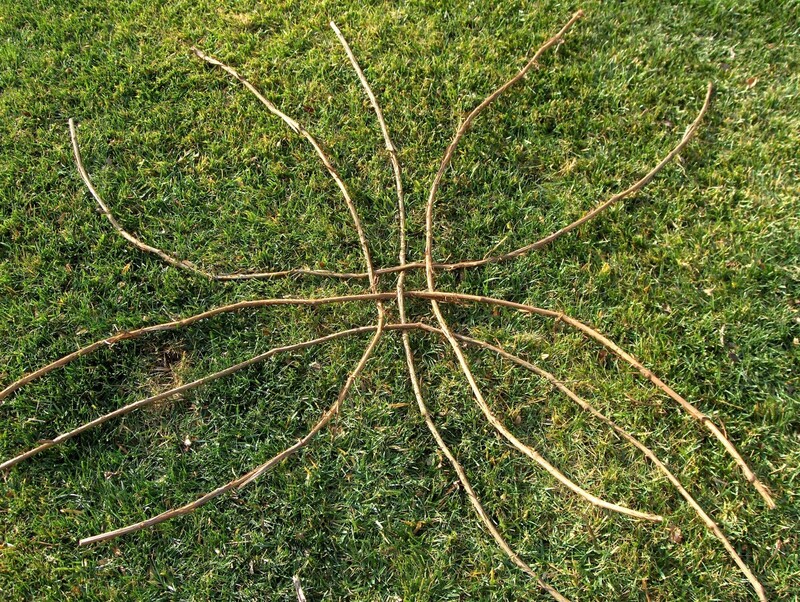 Now I'm going to call the first six stems "spokes". 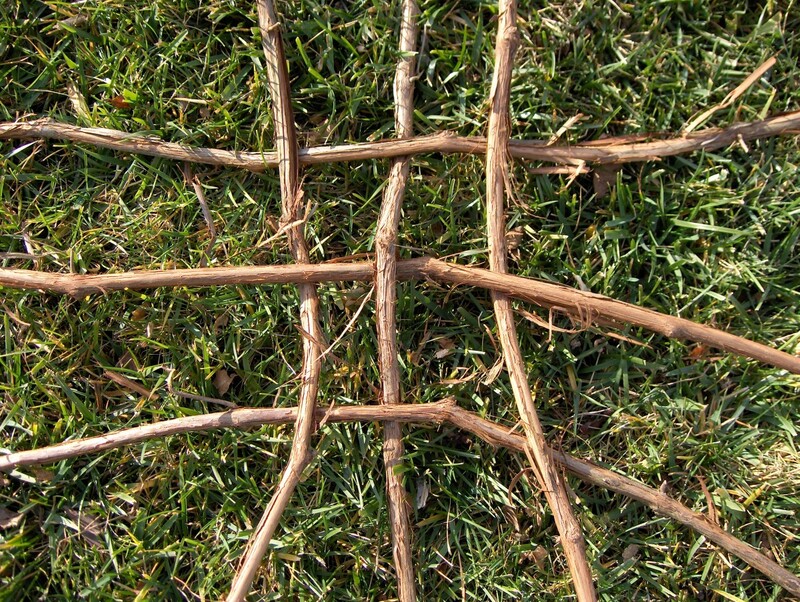 The next step is to choose a long stem and begin weaving it over and under around the six starter spokes forming a circle around the checker board base. 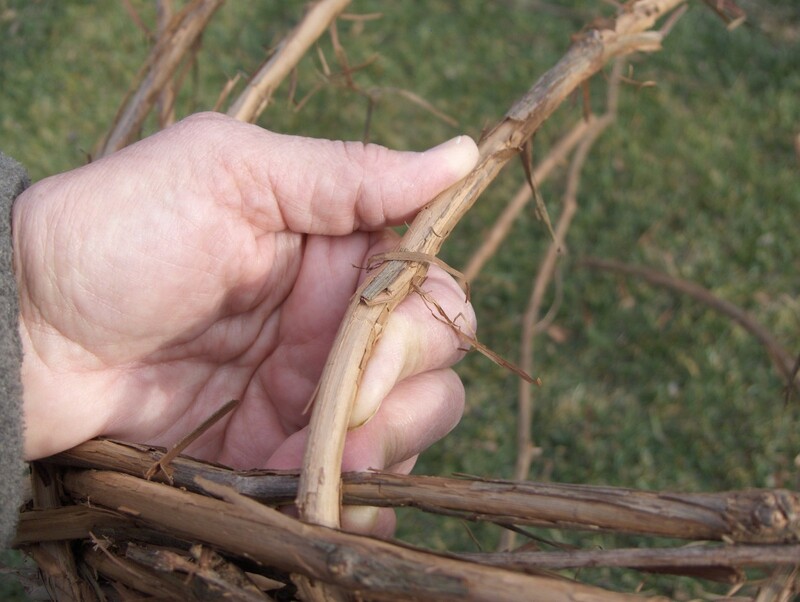 Tip: It's a good idea to choose the longest grapevine stem available for the first weaver piece which assembles the bottom of the basket. When you're building rows with the weavers, sometimes you'll end up with a gap that departs from the over/under pattern. Don't worry about it. In the final product, it won't be noticeable. The grapevine has a mind of its own resulting in a unique basket with a charming free-form quality. Go with the flow and keep going. 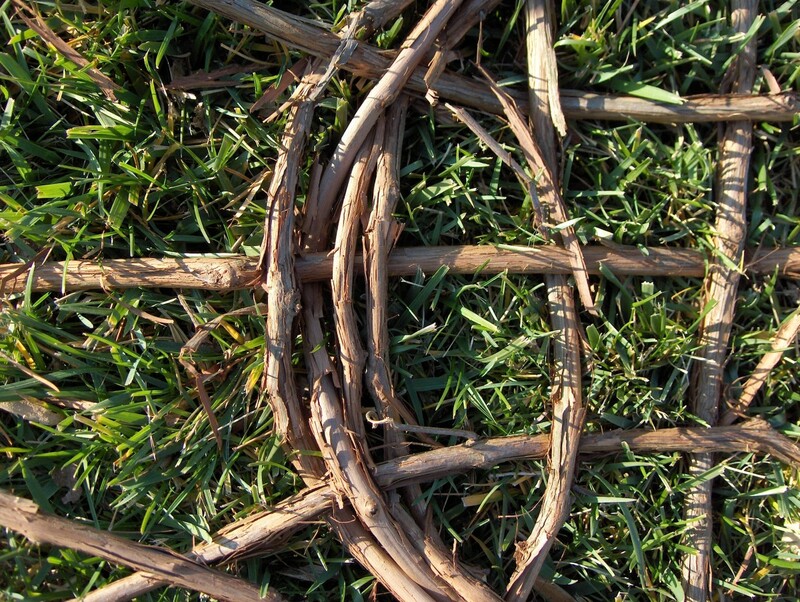 Simply make things fit according to the twists and turns of the vine. You'll get a real feel for this the more baskets you make. Now that you have weaved your first stem all the way around the base, you'll want to find a place to tuck in the end of it in somewhere. Often times, when you find a place to tuck in the end, it might still stick out. In that case, you simply clip it off for a smooth finish. Next, it's time to take another big step. You'll be able to pick up the skeleton basket without it losing its shape. Pick it up, then begin bending the spokes, working them gradually until they form a bowl shape. It helps to keep it upside down when you're forming the bowl. Use the weavers to help establish the bowl shape by pulling them tightly where you're bending spokes. This is when the notches can come in handy. Always remember to stop once in a while and center things to your liking. 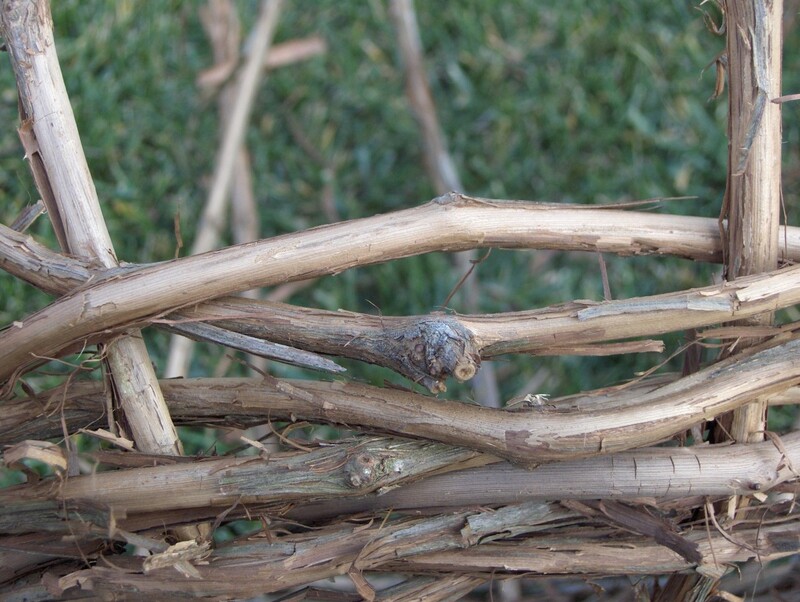 Tip for working with the unique qualities of grapevine: You might end up with gaps caused by natural bends along the vines as you're building up the sides of the basket. When that happens, simply fill them in when you come around with the next layer. Remember, it's grapevine, not perfection. 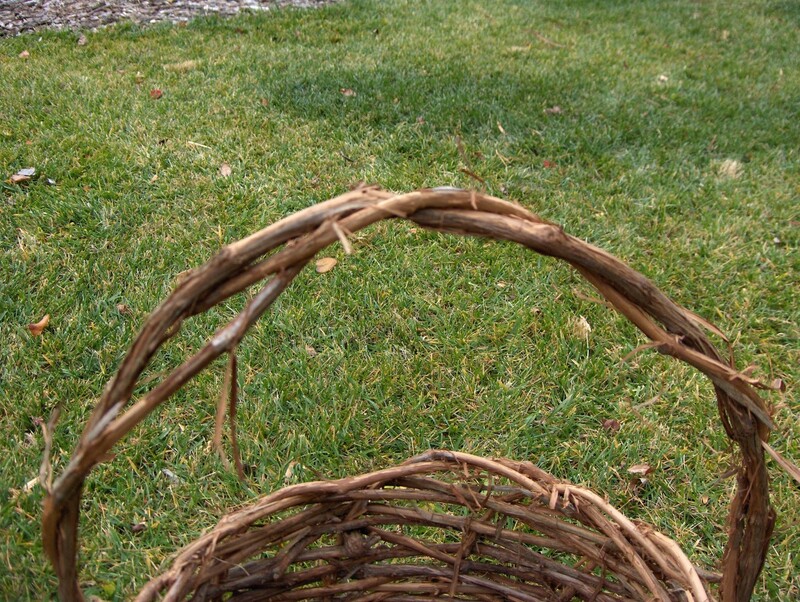 Once in a while, you may break the spokes while building up the sides of the basket. It even happened to me with the one I demonstrated with here. I just kept going, being careful not to break it off completely. 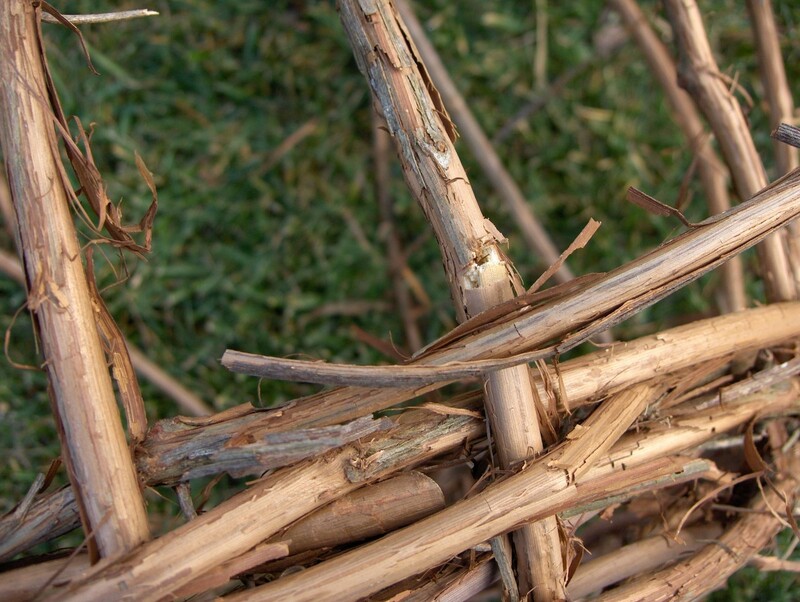 After you build layers over the damaged spoke, it won't show and it won't even compromise the strength of the basket.The weavers will support it from above and below. Sometimes as you're building up the sides of your basket, you can't find the perfect spot to tuck the ends of your weavers so you simply clip the ends to blend them in as much as possible. 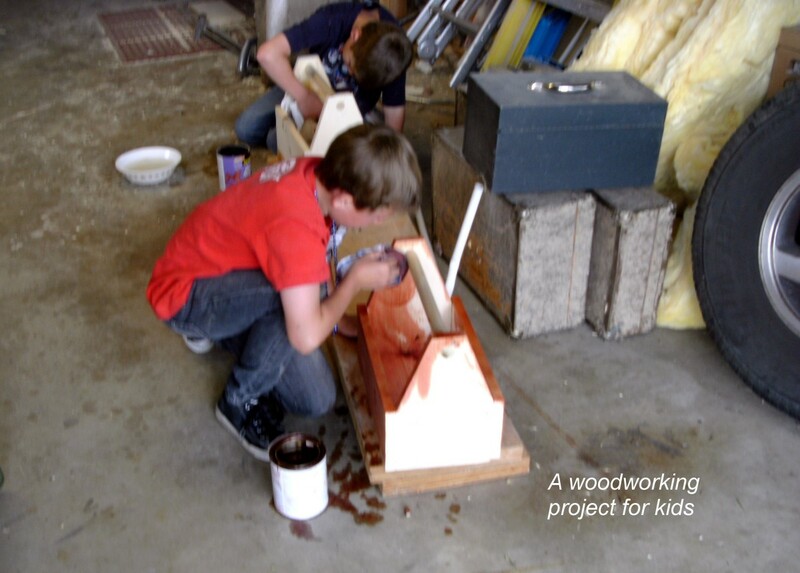 Tip: Make sure to clip the ends at an angle for a smoother finish. 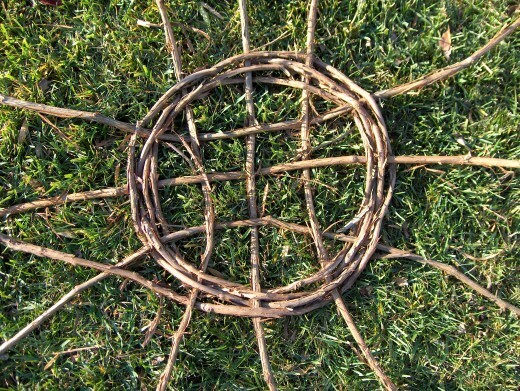 Once the sides are built up to a certain point, it's time to start tucking in the spokes to form the rim of the basket. Consider the fact that the spokes will serve to raise the sides somewhat more. Very important: Before tucking in the spokes, you have to choose the best two spokes you will want to leave out for the handle. They will need to be across from each other as balanced as possible. Remember, it's not going to be exactly perfect. The grapevine tolerates quite a bit of bending. 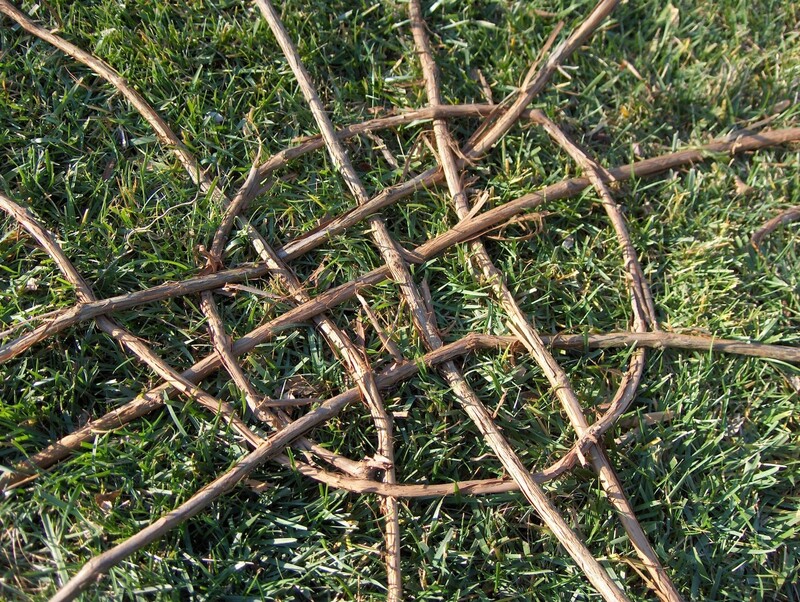 Bend the spokes to begin intertwining them over and under one another. Always do this in the same direction. You eventually will push the spokes down and tuck them in somewhere along the sides. You'll probably have to do some guesswork. I know I keep repeating myself, but try to remember you're working with grapevine including lots of character with many twists, bends and notches. Now that the rim spokes are tucked in, you will be left with two spokes which will be the base for your handle. Surprise, you thought it was time to build the handle, but it's the best time to fill in the bottom. This can take a while cause you have to weave each piece between each spoke all around the base beginning from the widest to the smallest circle. Chose the most flexible and slightly thinner stems for the best results. This is where it's easiest to break the weavers. To avoid that, support the stems with thumbs or fingers at the pressure points. Tip: As you're finishing the bottom of the basket, stop every once in a while and set it down on a flat surface. If it doesn't want to sit straight, add pieces strategically for the best balance. You might have to wait till the very end and even clip off a thickness created by the character of the grapevine, especially where there's a natural bend. 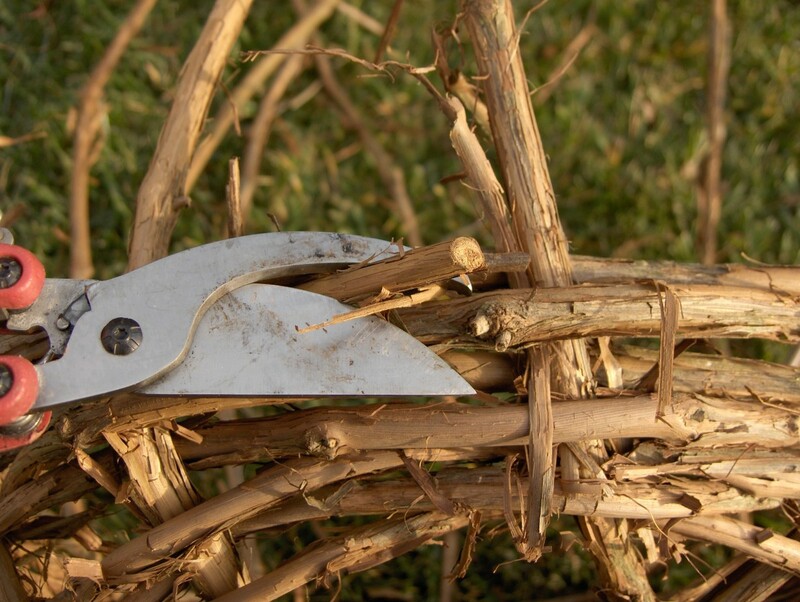 Time to build the handle: Start with a nice thick piece of grapevine and tuck it into the gaps along the handle sides as much as possible. Keep adding pieces, twisting the original spokes into the final handle design. Sometimes it's a good idea to integrate the added handle pieces along the rim of the basket. When you're satisfied with the handle, take a final look at the entire basket. 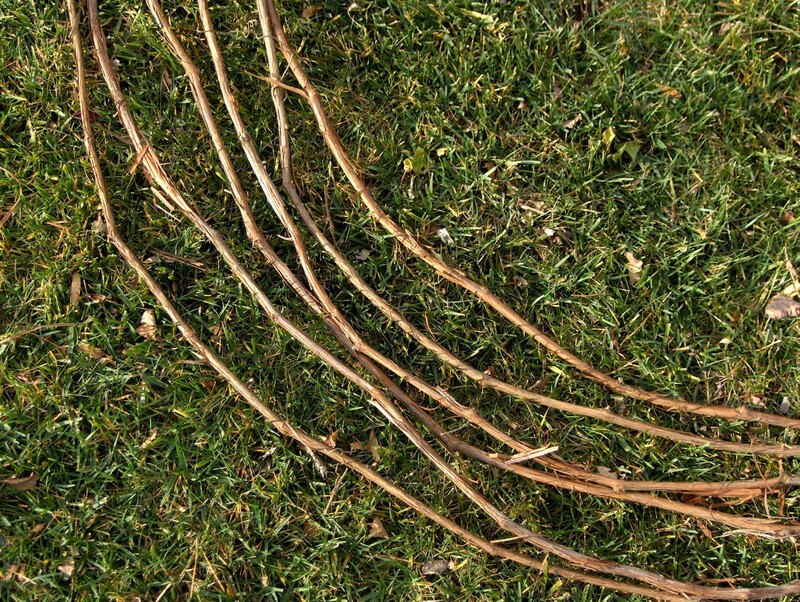 Check for stems poking out or bark that needs to be stripped. Afterwards, simply enjoy the results of your hard work. Once everything is assembled, check it over once last time and clip off any ends that may stick out. The finished product is ready to be admired. 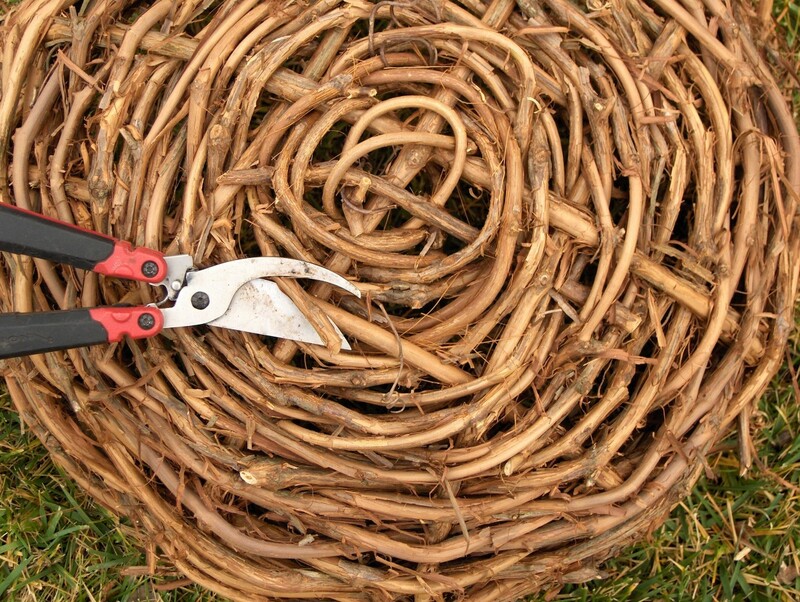 Now I am preparing dried grape vine small & large cut branches. 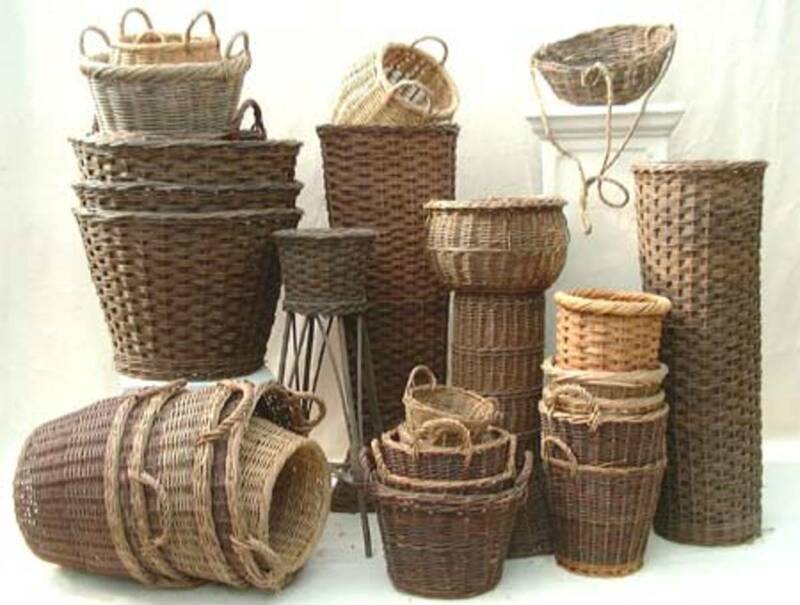 I have question you, Why finished basket with dolls have not many broken surface skin compared sample's handle and rim? I am very glad to have your know how. Again, Thank you for teaching in advance. Great ideas. I have several wreaths that I don't use anymore, so was wondering if I could take them apart (unwind), soften and use them for decoratimg. Kathi, When is the best time of year to cut the vines? Yours look green. I cut some this January, and some were quite brittle. I didn't soak them. As per the over/under combination, once my base was woven, I inserted a seventh spoke so that the over/under pattern was continuous for the walls of the basket..
What do you do if the base won't stand up? 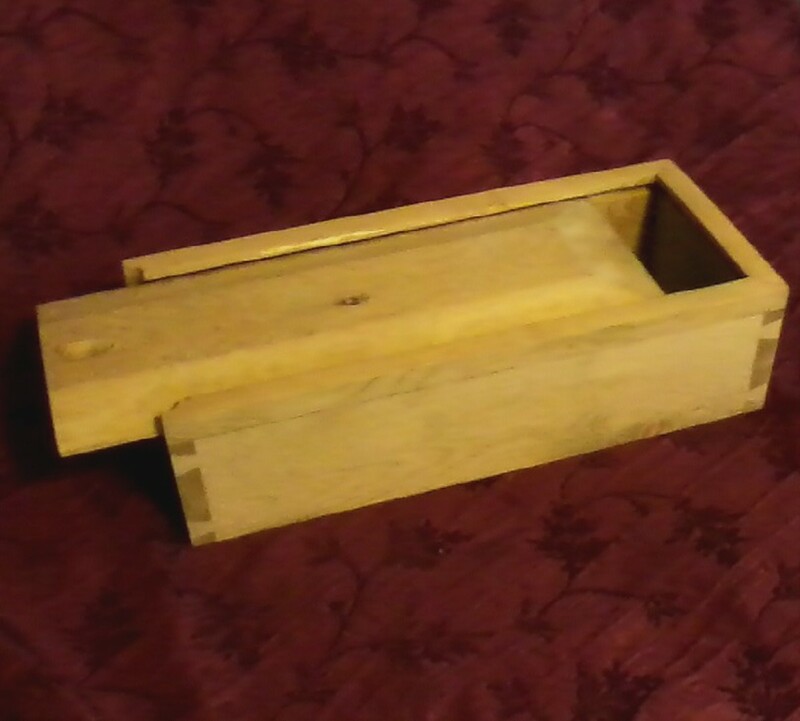 I have made these for years but always made them up as I went along. Will try this organized method. When I need a srtong connection I used wrapped wire that blended well. Also I like to make big ones then I line the basket with the hanging basket liners. 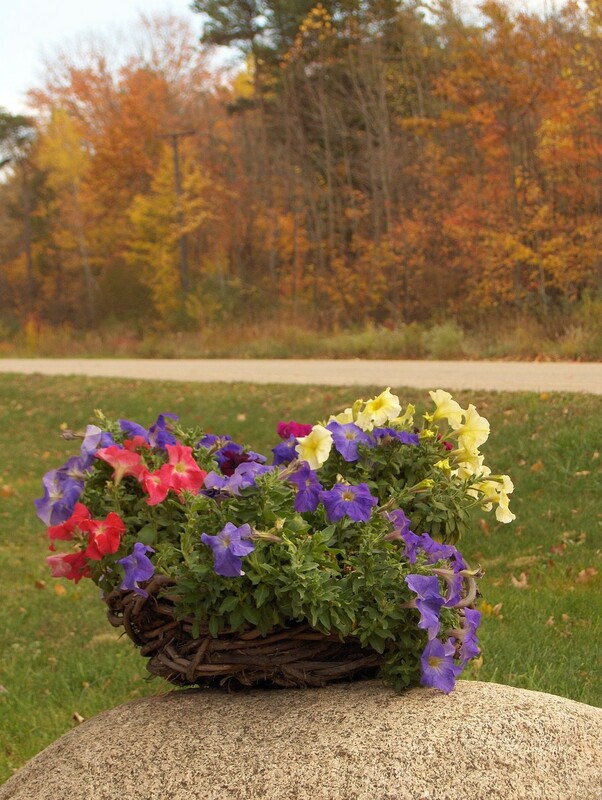 Fill with potting soil and add plants. Add beautiful bow and is great gift or nice for a funeral. Love your tutorial. Would love to try but wondering do you ever sale your baskets. Looking for flower girl baskets. Thank you so much! 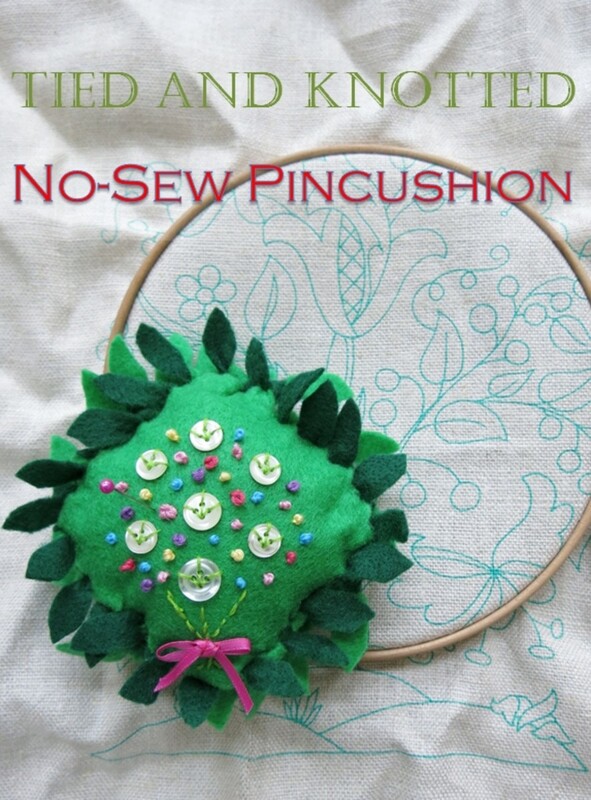 This is a wonderful tutorial, I can't wait to try it! 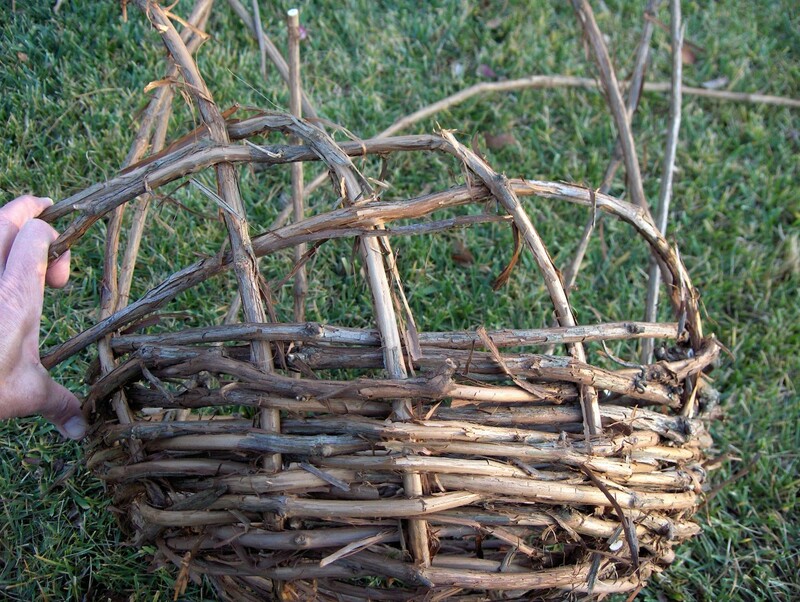 Thanks for Sharing This Old-World Knowledge "How to Make a Grapevine Basket" Surely a Lost Art. 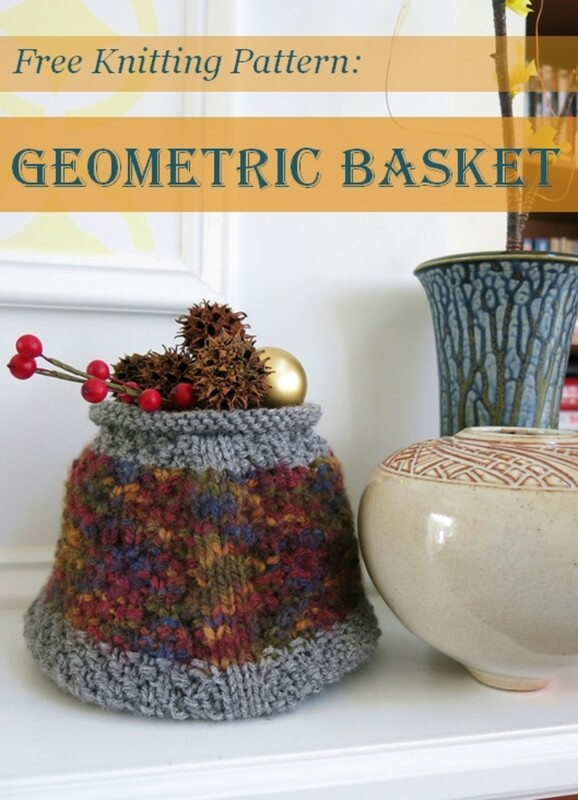 Love these baskets. I have a ton of wild grapevines and I can't wait to try it out. Just a quick warning; Hairy vines on a tree are probably poison ivy here on the east coast! Hello miss fossillady. I like your hub. It is marvelous how you create the vine grapes baskets. You are a genius. I am sure. I can make it from other trees. As long, it is not poison ive plant. Thank you for teaching the making of the basket. They are beautiful. 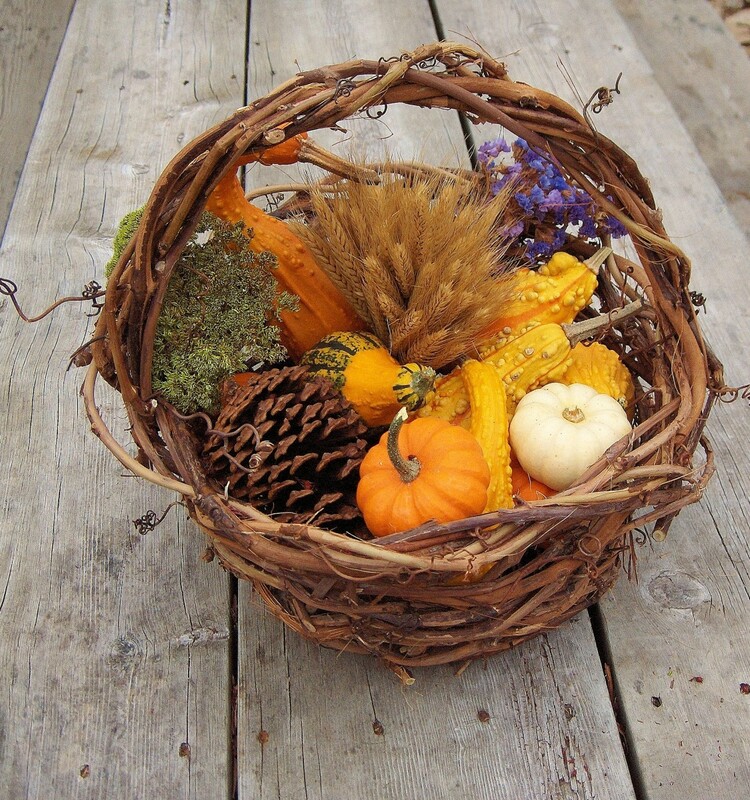 Including the baskets, you decorated with flowes and vegetables. 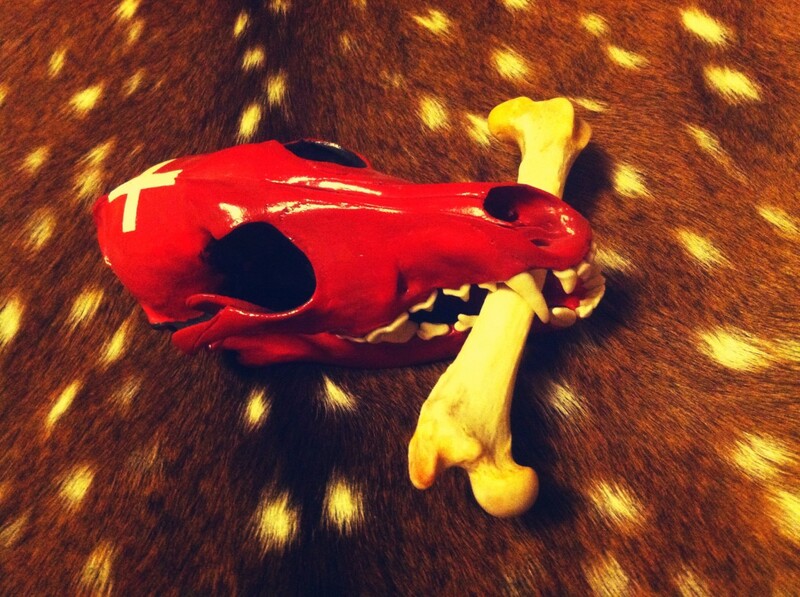 Thank you for your creative hub. 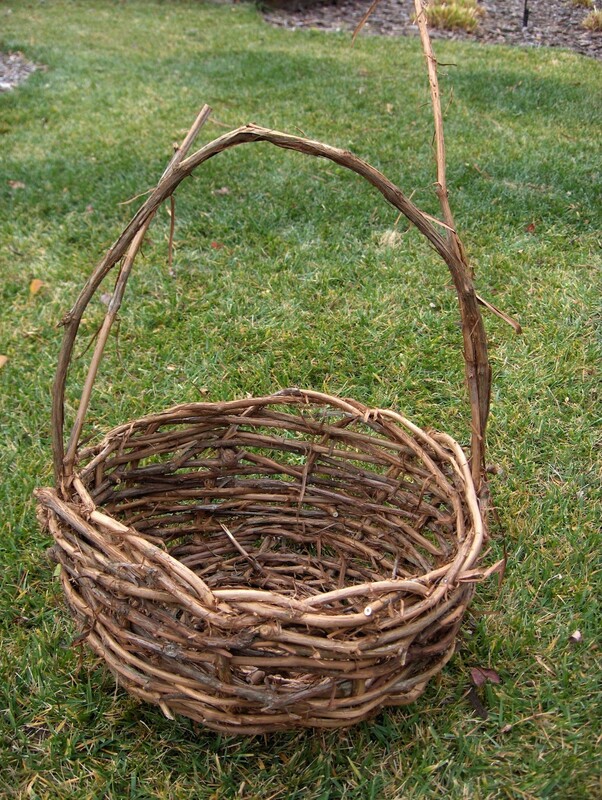 I'm writing a book, and there are two kids living in a forest, and they needed to be able to carry some stuff, so I looked up how to make baskets in the wild. This was very helpful and informative! Thanks so much!!! So cool! And timely! I was just thinking about starting to clip my grape vines--but I was wondering if I could build an arbor with them--ambitious, no? 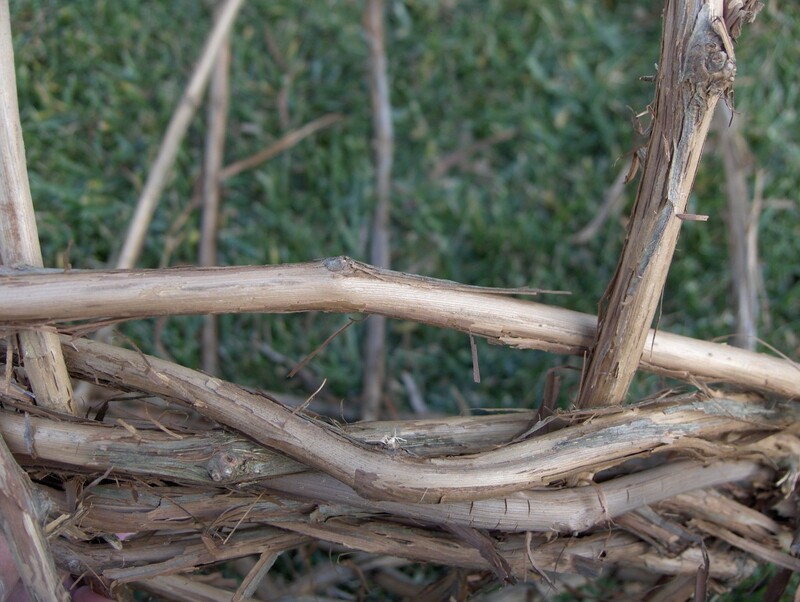 I have lots of grapevine just begging to be crafted into something. i was gonna try and do a wreath, but I love this idea. I'll try it. Good job with the photos and directions! Shared and pinned! You're so sweet, best of luck finding grapevine. We have quite a bit of it running wild in the forest, sometimes a good and sometimes not. :O) Angels back attcha! Awesome....the details and the photos are so very helpful Now I just need to vine some grapevine. Just is none around here anywhere....not to worry...some will be found. Thank you, thank you! 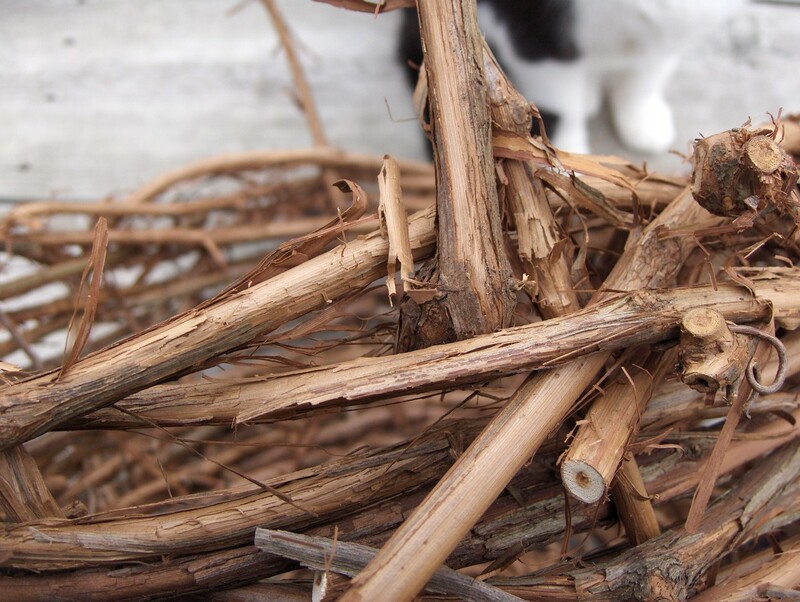 Yesterday I did research on how to prune and bring back my old neglected grape vine. Today I began the task. 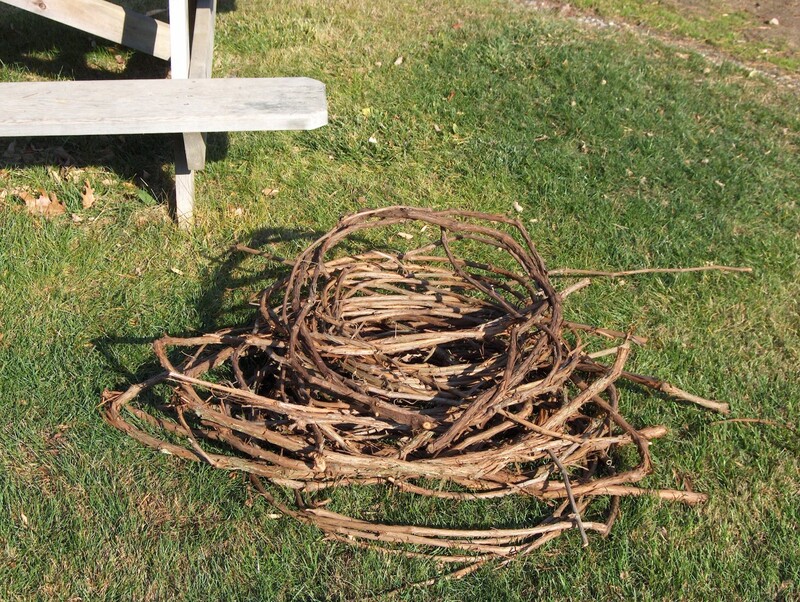 With so many vines, I realized I should not just dump the vines but use them to make baskets. I have always wanted to try. Thanks so much for your wonderful instructions! They're the best! I will soon be creating. 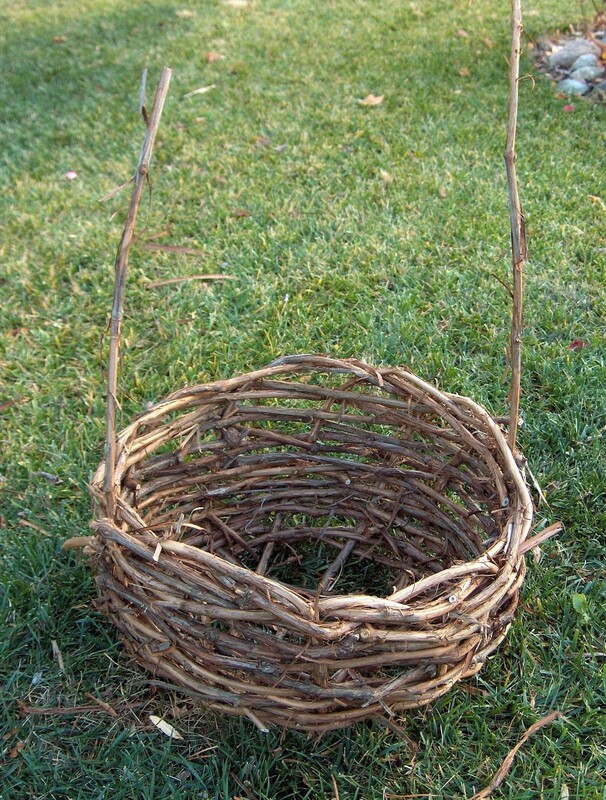 I'm planning to make a garden basket for my gardening friend. I'll plan to post again with a finished basket or two. Fascinating, beautiful and useful, plus you made it look so easy! Now I need to source some grapevines (or wisteria vines)! Perhaps I can convince my friends with not-just-a-balcony-garden to plant some, so I can harvest in years to come. 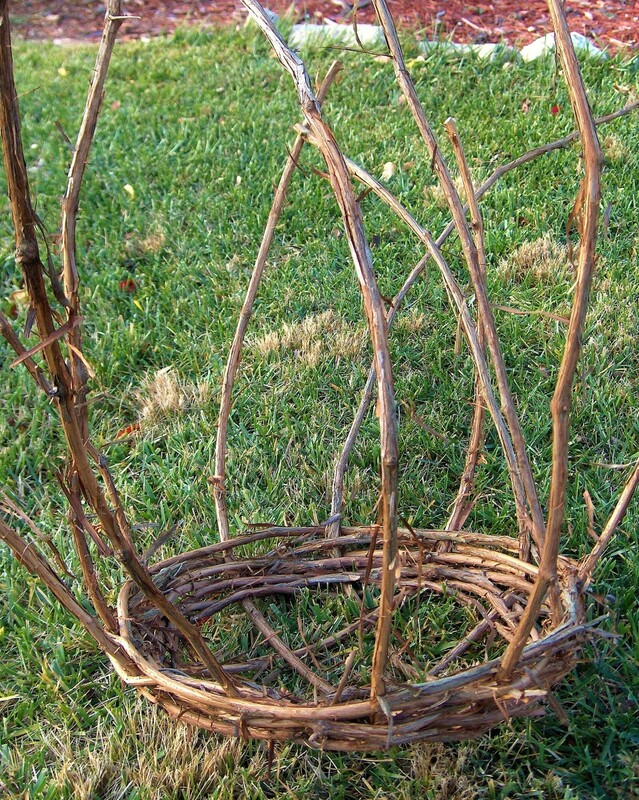 Thanks so much for this look at making a grapevine basket! I don't have grapevines, but find that wisteria vines work beautifully for wreaths and I expect they will do well for baskets. 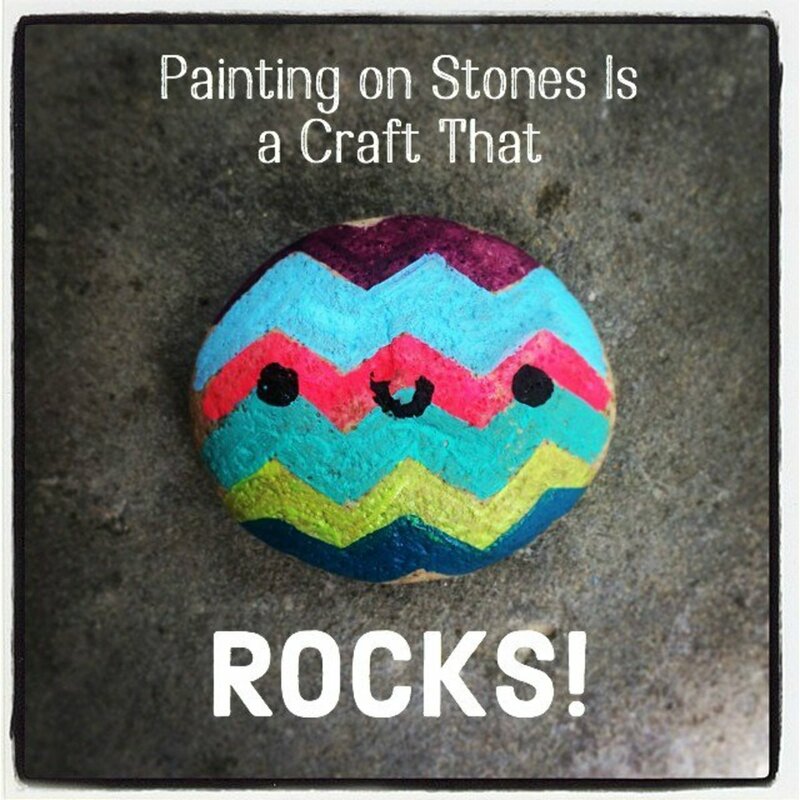 Beautiful examples of decorating them! Oh this is just great! 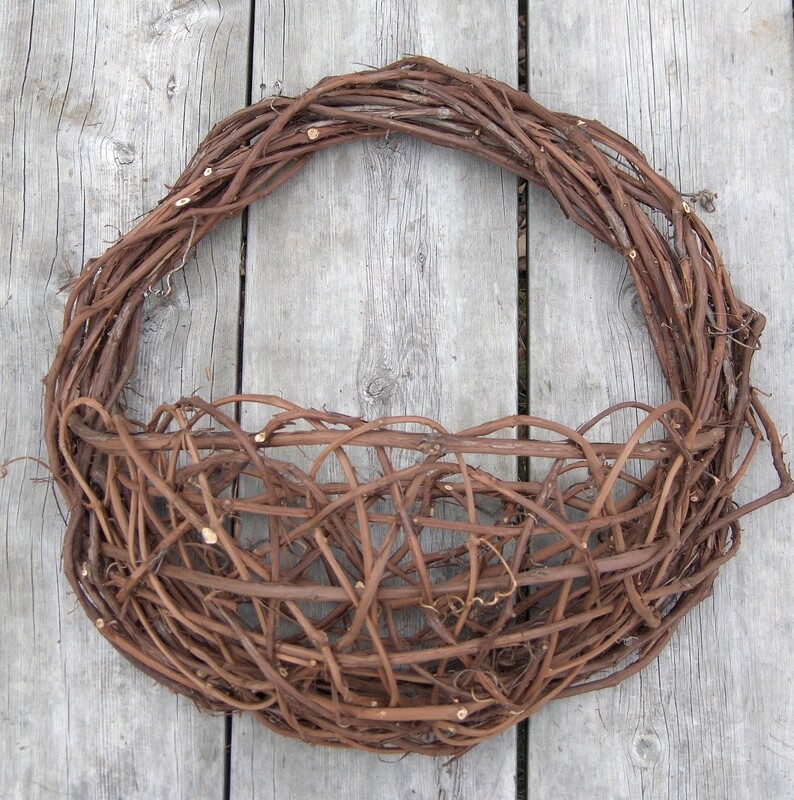 I have some sad old grapevines that I've used for wreaths, but the basket looks beautiful and so much fun to make! I love nature crafts. Your instructions are perfect and the pictures perfectly illustrate the process. Voted up and tweeted! This was the best instructional hub I've ever used. I inherited 22 acres of untended grapes. 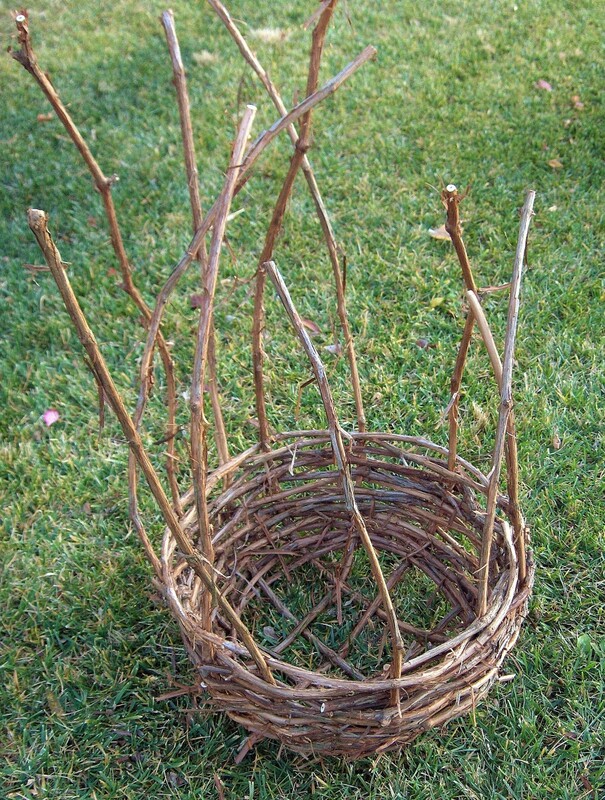 Until we decide what we are doing with our new treasure land I'll keep making baskets, wreaths, frames and furniture. Thanks again, Great hub! Thank you for this project. The pictures and directions are accessible and I learned a lot in a short amount of time. I looked all over for good instructions and yours are the best! Thank you so much this was great to read. 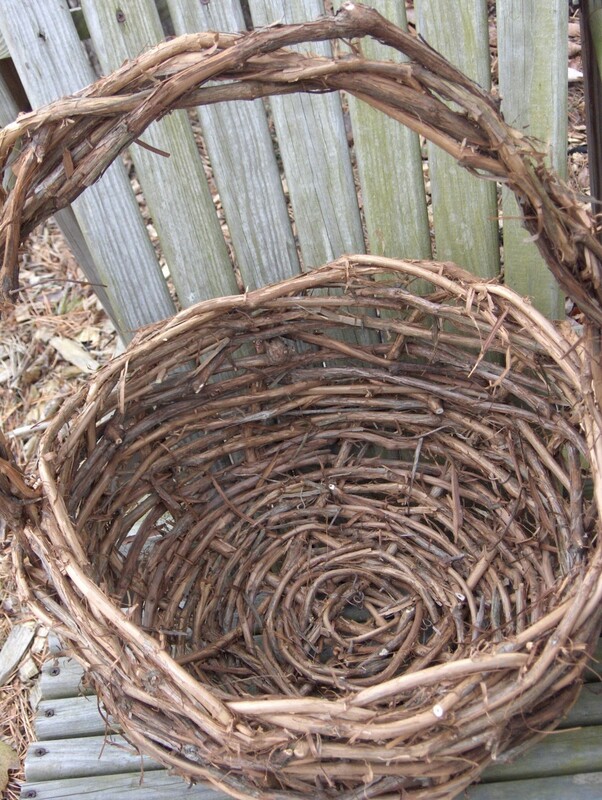 Is it possible to soak dried grapevines and make them soft enough for making baskets? I wanted to tell you about my basket, to thank you for your guidance but also to let you know that I now have a little piece of your amazing strength symbolised by my solid strong basket, here with me in Australia. 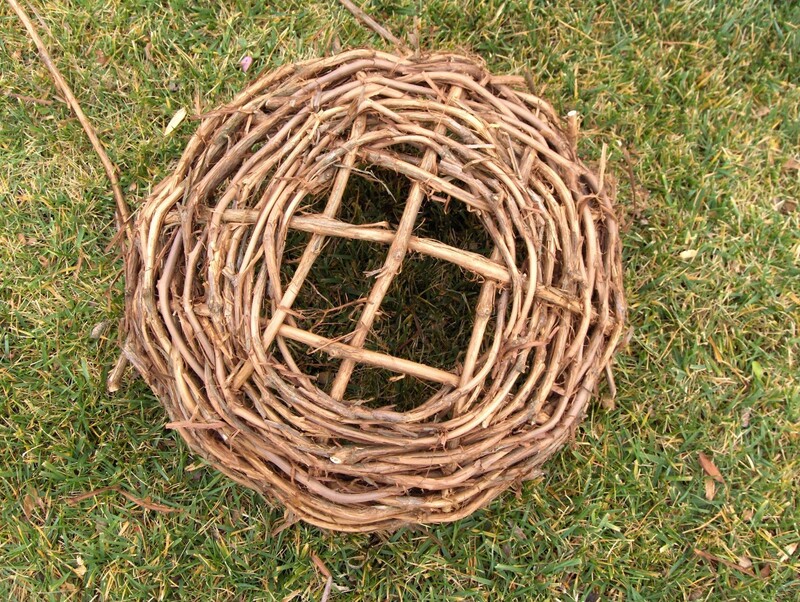 I read your hub “The better side of grief” and now for me, your rock solid love for your husband that transcends this world into another, that is so inspirational and uplifting is symbolised in my beautiful robust basket. Thank you Fossillady from my heart. Very kind of you Tina! I am wishing you the best of luck with making a basket. Don't worry if it's not perfect. Sometimes that will happen, it does take a little practice! My first one was still a prized treasure and I even sold it! 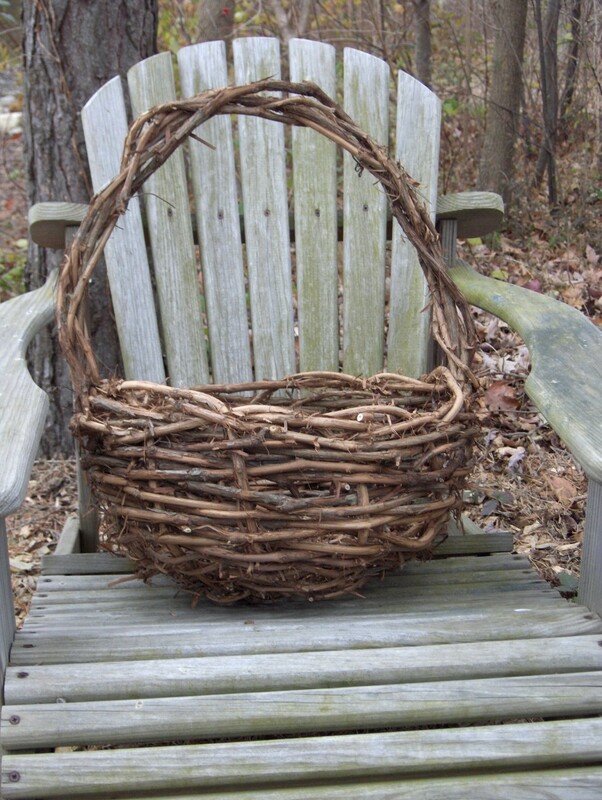 People who make products like this grapevine basket are really talented. It’s a skill, and I hope I can make one. This is an informative hub. Your photos are attractive. Thumbs up! thanks for your very well written article. I think I'll go looking for grape vines this summer and try it out. Thank you Phoenex V for your kind comments. I wonder if you made things from the willow or if you knew what your customers created with it. This is wonderful! I don't know how I missed this hub. 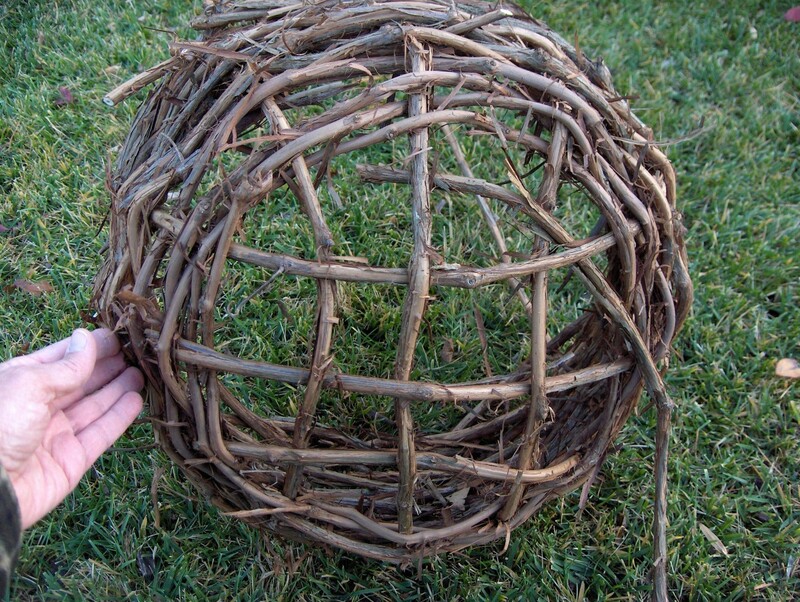 I used to market certain kinds of willow that was used for crafts like this. This is an excellent hub. Kathryn, I would encourage you to try it, brave lady! I think it would be fun to make one.I love all the photos. Thank you tnderhrt23, I'm thrilled by your compliments. Let me know whenever you try to make your basket. 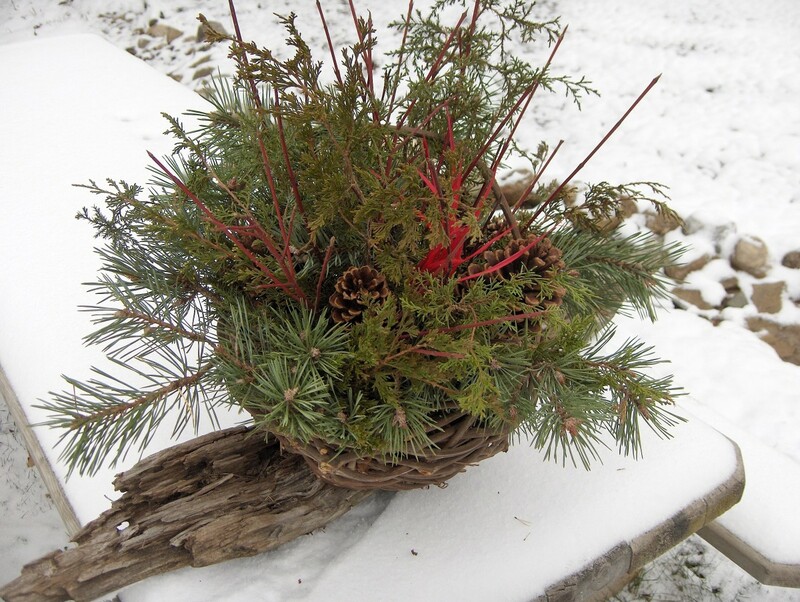 I'll be adding a picture of a grapevine basket decorated for Christmas soon. 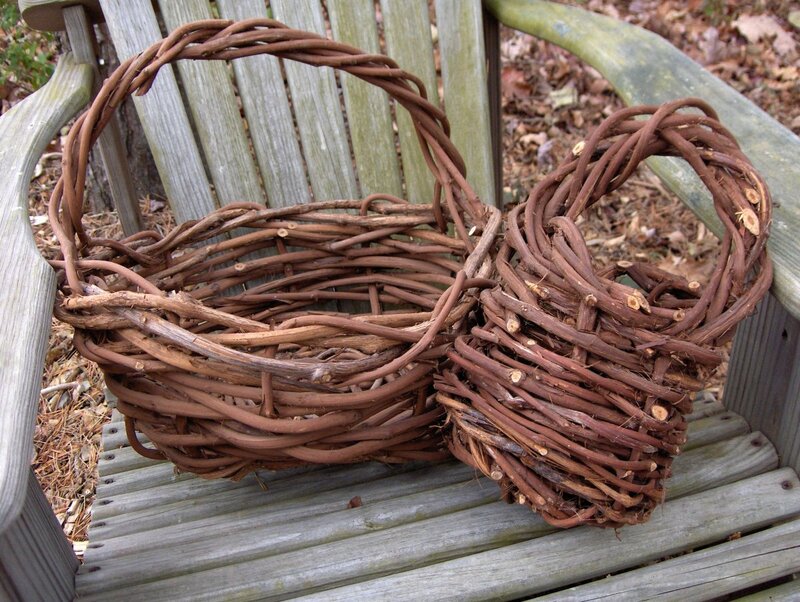 I love baskets, especially grapevine baskets! This is an awesome How To hub! Your instructions are clear and concise, your pictures an excellent aid! I am voting you up!